One woman's fascination with quilts and quilting. 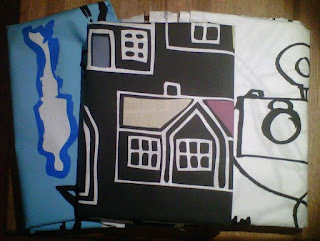 Saturday was a busy day, which meant I didn't have time to get much quilting done. My sister-in-law's father passed away last week, so we planned a trip to Long Island for the viewing. He was a very sweet man and will be dearly missed by his family and friends. Before we picked up our Zipcar, there was time to put together a quick wonky log cabin block for a request that came in from the quilt guild. One of the members sent an e-mail plea for "extra quilt blocks to make a special quilt for someone in NEED of some healing thoughts." 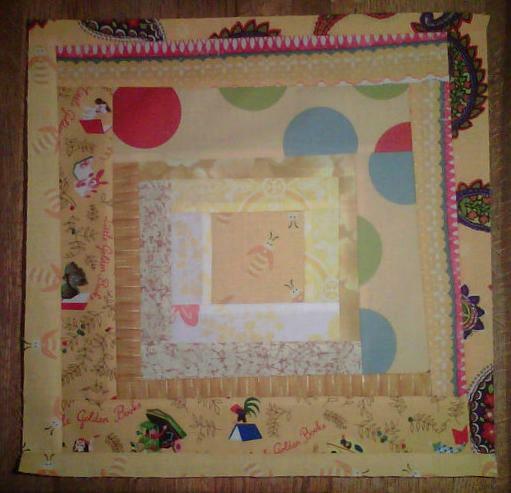 Our challenge from the last meeting (as you may recall) was to make a 12-1/2" wonky log cabin block in spring colors. I finished my yellow, blue, green, and pink/red blocks last weekend and cut them up to combine them into one block. Luckily, I had plenty of yellow scraps left and combined them with some other fabrics on hand to make a block to send in for the extra project. I was surprised that it only took me about an hour and a half from start to finish. Apparently, the more blocks I make, the quicker the process! While we had a car yesterday, we also decided to make a trip to Ikea (not so easy on the subway). They had some fun fabrics, but I was disappointed that they didn't have Cecilia (white and black with green birds) in stock. 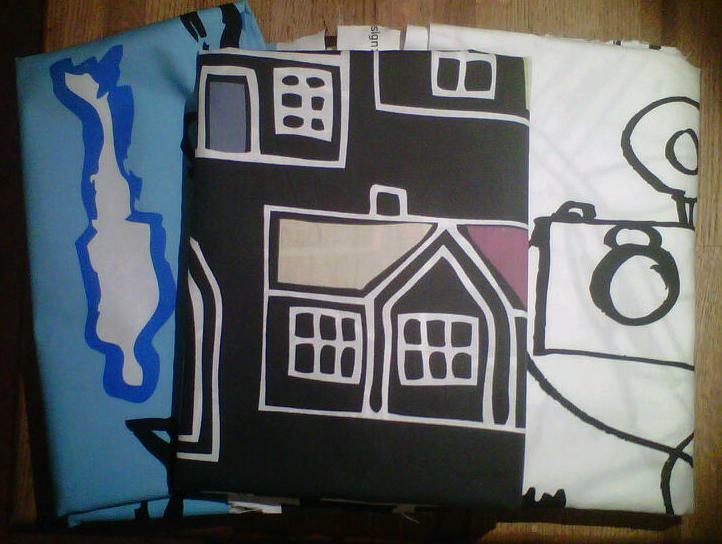 They did have Julita (black and white), Durita (blue), and Britten Hus (gray), so I stocked up on those instead. I also picked up a small, inexpensive LED lamp that will hopefully help show my fabric colors more accurately than the compact fluorescent and incandescent bulbs we have in the house. I'll eventually get a larger lamp, but for $10, this will hold me for a while. And now, I'm off to get my hair cut, then my husband and I are checking out Green Depot in Manhattan. How did we not know about this green product place before? Looking good! See you on the 31st! I've been sewing since childhood, but only recently connected with my inner quilter. If you have fewer than 50 followers. All materials copyright 2012. Picture Window theme. Powered by Blogger.